A well-rounded week of arts events always includes some fab free ones and this is no exception. From a chance to go behind-the-scenes for a ground-breaking concert to a one-of-a-kind night with an artistic matchmaker, you won’t want to miss these. Here’s what we’re checking out. Dedicated to exploring music from the Baroque period and earlier, some of this music was written for courts and chapels, some for private chambers and social gatherings. Hear Collegium Musicum perform while enjoying your lunch. After last year’s successful event, artistic matchmaker Harpreet M Dayal returns to Arts Commons with Love Notes. Poets flirt with painters, dancers, and musicians, creating a love note to Calgary and sharing it with the universe. Featuring original works from over 25 local artists, enjoy refreshments, enter to win door prizes and a raffle draw for an original painting, and purchase a piece or two at this spring show and sale. Admission is free and donations to the Veterans’ Food Bank are gratefully accepted. Over 150 amazing original paintings will be on display for sale at this annual show and sale. Find a new piece for yourself or a gift for someone special while enjoying refreshments and live music by Marty Cochrane. A much-anticipated show featuring a diverse selection of original paintings in a variety of media by 45 local artists, find high quality framed artwork in a variety of sizes, mediums, and subjects. View 300 paintings and meet the artists. Artist Glenna Cardinal has a bone-deep connection to the reserve land that she grew up on, the land that was her Tsuut’ina Nation grandmothers’ and is now the Southwest Calgary Ring Road. Don’t miss this conversational walking tour. Connect with your inner intuition and collective energy, and stimulate your creativity in this guided meditation and chanting workshop with licensed Science of Mind Practitioner, Pheli Dlamini. Take the time to shut out the outside world and focus within at the Esker Foundation. 16+ only. Talonbooks’ Spring Poetry Showcase is coming to Calgary! Hear Nikki Reimer, Dina Del Bucchia, and Nicole Raziya Fong read from their new books—My Heart Is a Rose Manhattan, It’s a Big Deal!, and Perfact. 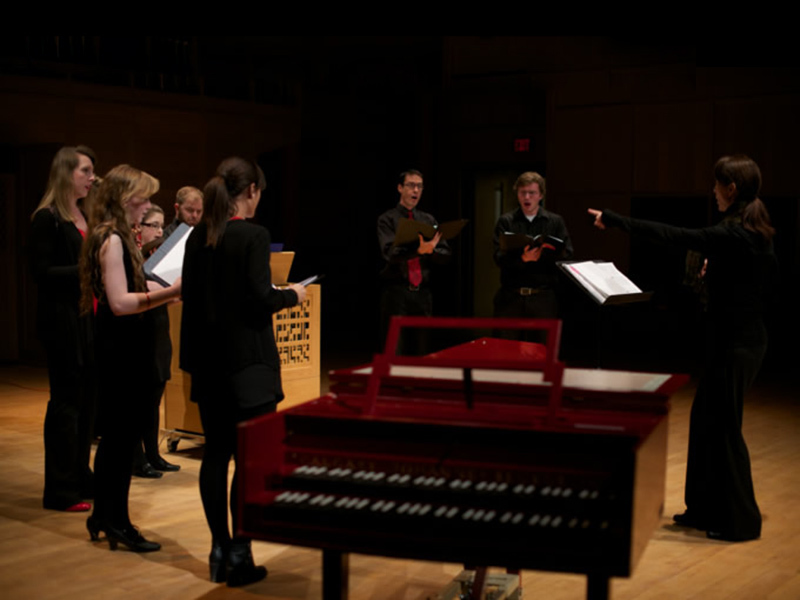 Experience a masterclass on Bach recitative performance practice with Luminous Voices! Free and open to public, this masterclass features soloists Lawrence Wiliford, Paul Grindlay, Sumner Thompson, Nicholas Allen, and Zach Finkelstein accompanied by cello, organ, and lute as well as special guests. RSVP at info@luminousvoices.ca.